Washington (AFP) - Poland might not yet be ready for a permanent US military base, the head of the US Army said Wednesday, the day after Polish President Andrzej Duda offered to host "Fort Trump." Duda went to the White House on Tuesday to reiterate Poland's long-standing desire for a permanent US troop deployment to the eastern European country -- a contentious move some worry would anger Russia and draw US troops away from long-established bases in Germany. 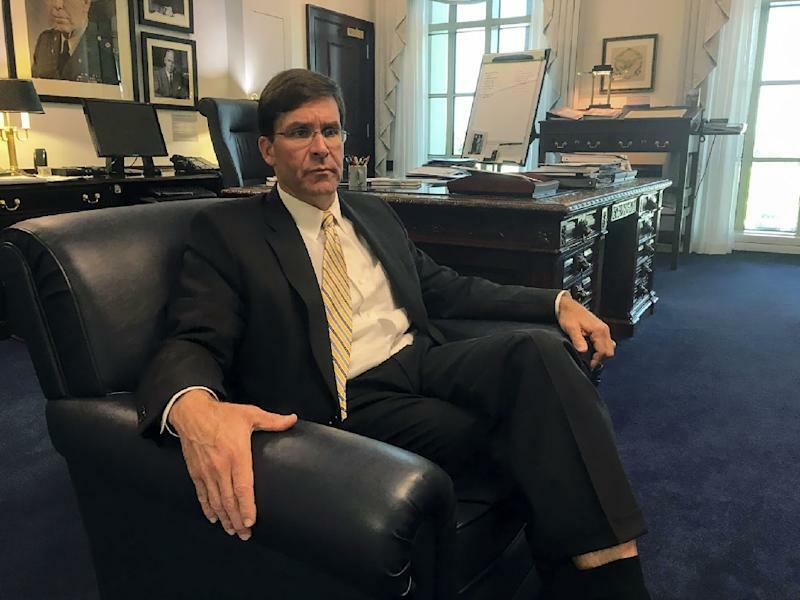 But US Army Secretary Mark Esper told AFP that when he visited Poland in January, it appeared there was not enough space on offer to fulfill the training requirements for US soldiers. "It was not sufficient in terms of size and what we could do in the manoeuver space and certainly on the ranges," Esper said. "You need a lot of range space to do tank gunnery, for example." He added that, in many cases, the terrain was "maybe not robust enough to really allow us to maintain the level of readiness we would like to maintain." Defense Secretary Jim Mattis on Tuesday expressed similar concerns, saying there was a "host of details" that need to be studied alongside the Poles before any decision is made. "It's not just about a base," Mattis told reporters. "It's about training ranges, it's about maintenance facilities at the base, all these kinds of things." Trump said Poland is offering to pay Washington at least $2 billion to help meet the costs of the base, which Duda said could be called "Fort Trump," and that the US is "looking at it very seriously." Duda said Russian military expansion, starting with a takeover of rebel areas of neighboring Georgia and more recently the annexation of Ukraine's Black Sea Crimea region, was part of "constant violation of international law."